Last week, regulators in India forced Apple to remove the viral TikTok video sharing app from the App Store one inappropriate content concerns. Now, however, an Indian state court has moved to lift the ban. The post Indian government lifts TikTok ban, says it can return to the App Store appeared first on 9to5Mac. Notarization is an automated code scan service for Mac developers that looks for malicious code and blesses it if none found. In a future version of macOS, the Gatekeeper will look for that notarization. This is a good thing. Facebook today reported its earnings for the first quarter of 2019, revealing that it has set aside $3 billion in anticipation of a fine from the Federal Trade Commission. The company reported revenue for the quarter of $15.08 billion with earnings of 85 cents per share. The post Facebook expects FTC fine of at least $3B, Zuckerberg says privacy is ‘central focus’ for future appeared first on 9to5Mac. Despite minor issues, Apple continued to top most of the competition in this year's Tech Support Showdown by Laptop Magazine, which says the combination of Twitter, live online chats, its support app and phone calls provides a solid base for the company's support. Oh, and there's also the Genius Bar, which is widely available, thanks to its placement in every Apple Store. Last week, 9to5Mac reported that Screen Time, and many other iOS features, are coming to the Mac this year. Following our report, designer Jacob Grozian has imagined what Screen Time might look like on the Mac when macOS 10.15 is released this year. The post macOS 10.15 concept envisions rumored Screen Time feature with ambitious design [Gallery] appeared first on 9to5Mac. The post Lens is a modern and featured-packed Instagram app for Apple Watch that works without the iPhone appeared first on 9to5Mac. Signing up for a subscription service like Apple News+ through iOS is kind of fun. A menu pops pop, you activate Face ID or Touch ID, and the world’s most satisfying ding lets you know your purchase was successful. It’s simplicity itself. How many of you are old enough to remember Bob Vila? As a kid, I loved his version of “This Old House” (I never liked the episodes after he left) even though I have no skill or even interest in construction or carpentry. Vila made it seem effortless and easy. The post AT&T CEO expects its 5G prices to be tiered, more expensive for faster speeds appeared first on 9to5Mac. The post How Good Are Aftermarket iPhone Screens appeared first on iLounge. Today is an all hardware episode, Andrew Orr and John Martellaro join host Kelly Guimont to discuss butterfly keyboards and SSD upgrades. I love bookstores and can spend hours and hours in them. Living in a small town means our options are limited but I’ll be sure to go into our local bookstore this Saturday. Starting in June, people that use dating app Bumble will find themselves protected against unwanted nudes using an AI tool called Private Detector. For the first time, Apple has actually seen a decrease in the number of self-driving test vehicles it has on California's public roads. A jury trial involving iPhone 4’s, iPhone 4S’s and iPhone 5’s with alleged defective sleep/wake (power) buttons will start on Oct. 25, 2019. The complaint alleges that Apple sold the aforementioned smartphone models with defective sleep/wake (power) buttons and failed to disclose (or insufficiently disclosed) this defect to purchasers in violation of various California state laws. This action seeks relief for alleged claims of breach of warranty and alleged violations of the California Consumers Legal Remedies Act, the California Unfair Competition Law, the California Song-Beverly Act and the Magnuson-Moss Warranty Act. The complaint seeks damages in the form of recovery of the cost to repair the broken sleep/wake button or the diminished value of the iPhone due to the broken sleep/wake button, along with restitution, injunctive and declaratory relief. Another week full of delicious scoops — expanded macOS authentication using the Apple Watch, WWDC news for developers, more signs of AR headset(s! ), Siri shortcuts on the Mac, and much more. Also, how does Rambo get his hands on all this information anyway? Sponsored by Withings: Get 20% off Withings Body+ Wi-Fi Smart Scale at the company’s website or Amazon $79 (Reg. $99). A fascinating story about people and their relationship to the land. Apple News+ officially launched one month ago today, which means those who subscribed to the free trial are about to get hit with their first monthly bill. If you’ve spent some time with the service and decided it’s not for you, here’s how to cancel Apple News+. The post Here’s how to cancel your Apple News+ trial and avoid a $10 charge appeared first on 9to5Mac. Apple has earned another first place ranking for its laptop customer service when compared to other tech companies. Laptop Mag today released its 2019 study that found Apple far ahead of competition like Samsung, Microsoft, HP, and more when it comes to both phone and web support for computers. The post Apple earns first place in laptop customer support ranking with 91/100 score, 6 minute avg. call time appeared first on 9to5Mac. Throughout the course of 2018, Apple’s filings with the California DMV showed a steady increase in the number of self-driving cars it had on the road. This month, however, Apple has reported its first ever drop in autonomous cars. The post Apple reports first drop in the number of self-driving cars on the road in California appeared first on 9to5Mac. The British Government has decided to allow Huawei to build part of its 5G network, a move at odds with the U.S. administration. Google announced today that its Google Fit app that launched on Android in 2014 is now available for iOS. Last August, Google Fit was completely revamped with the Material Theme and a focus on two new metrics. The health and activity tracking application is now coming to iOS with full Apple Health integration. The post Google Fit now available on iOS with Apple Health sync appeared first on 9to5Mac. Apple Pay officially launched in Austria, giving customers of Erste Bank and N26 access to the service in the country. The post The two reasons Apple Pay in the US lags way behind Europe [Video] appeared first on 9to5Mac. After the latest Facebook privacy fiasco which involved Instagram passwords, regulators are looking even more closely at Mark Zuckerberg. 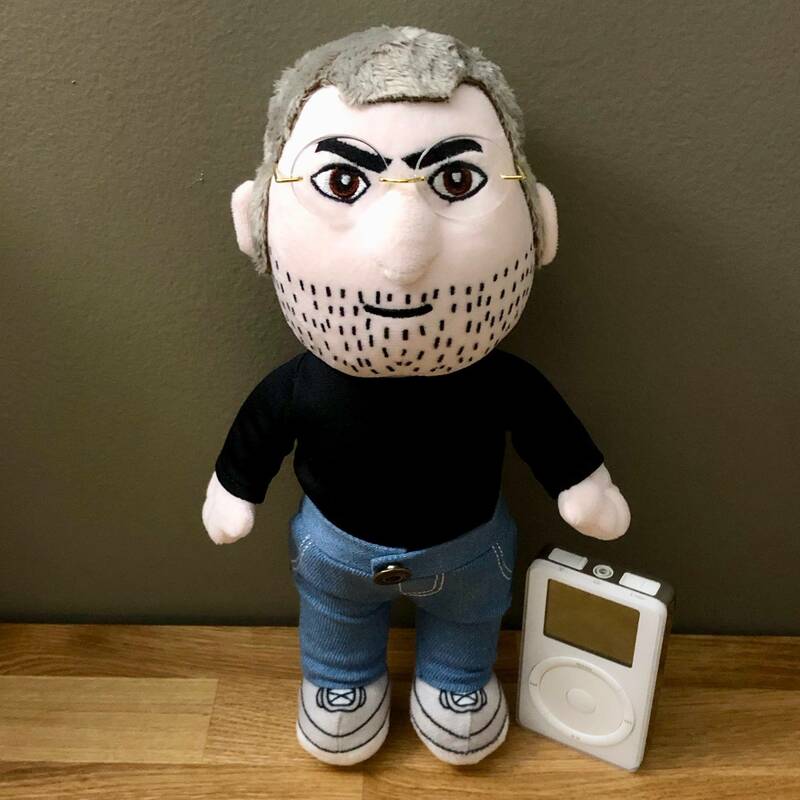 Here’s the picture, Steve plush with iPod. Want one? The Reddit poster bought it here. The number of SVOD subscriptions for movies, linear channels and TV episodes (and excluding other platforms such as sports services) in North America will climb by 110 million from 160 million in 2018 to 270 million in 2024, according to Research and Markets. These figures are gross - many homes take more than one SVOD platform. The research group predicts that the upcoming Apple TV+ will see “modest” growth to eight million by 2024. Apple’s upcoming streaming service will debut this fall. Research and Markets forecasts that 77.8% of TV households (94 million) will subscribe to at least one SVOD platform by 2024. The average SVOD household will pay for 2.89 SVOD subscriptions. This compares to 70.0% of TV households (84 million) TV households subscribing to at least one SVOD platform by end-2018. The average SVOD subscriber paid for 1.91 SVOD platforms at end-2018. What if an Ethereum owner stored their digital money with a private key—the unguessable, 78-digit string of numbers that protects the currency stashed at a certain address—that had a value of 1? To Bednarek’s surprise, he found that dead-simple key had in fact once held currency, according to the blockchain that records all Ethereum transactions. But the cash had already been taken out of the Ethereum wallet that used it—almost certainly by a thief who had thought to guess a private key of 1 long before Bednarek had. That initial discovery piqued Bednarek’s curiosity. So he tried a few more consecutive keys: 2, 3, 4, and then a couple dozen more, all of which had been similarly emptied. So he and his colleagues at the security consultancy Independent Security Evaluators wrote some code, fired up some cloud servers, and tried a few dozen billion more. Apple continues to lead global premium smartphone segment by capturing more than half of the market while OnePlus entered the top five brands in the premium segment for the first time ever in 2018 as competition intensified in the global premium smartphone segment. The segment grew faster than the global smartphone market, according to Counterpoint Research’s Market Monitor 2018 service. The segment grew 14% year-on-year (YoY) in terms of sell-in and 18% YoY in terms of sell-through. Growth was driven by new iPhones and launches in a premium segment from Chinese manufacturers like Huawei, OPPO, OnePlus. But then I started doing some research and I learned that actually it’s already possible, if you have right accessibility hardware like special joysticks and motors, to have some kind of cursor on iOS. This is already possible and has been possible for years. But what I heard from sources is that without any adapter you will be able to use a USB-C mouse, on your iPad, as an accessibility device. The upcoming spring/summer 2019 edition of Document Journal includes a fascinating new conversation between Apple’s Chief Design Officer Jony Ive and Kim Jones, Creative Director for fashion brand Dior Men since 2018. Ahead of the magazine’s release in May, the full interview has been published online and is filled with observations from the two designers. The post Jony Ive and Dior designer Kim Jones discuss the environmental cost of design, challenges of working for the future, more appeared first on 9to5Mac. Apple's share of smartphone users in the U.S. will remain basically static in 2019, accounting for a 45.2% share. Android, by comparison, will account for 53.4% of US smartphone usage. eMarketer expects Android to dominate smartphone usage through 2021. The number of U.S. iPad users remains stagnant -- 79.7 million this year. In 2019, Apple's share of the tablet market will be 45.6%, down from 46.3% last year. In 2019, eMarketer estimates that nearly 53% of Americans will use a tablet at least once a month, totaling 174.7million people. In observation of Distracted Driving Month this April, The Zebra, an insurance comparison site, surveyed 2,107 Americans to uncover what activities are distracting them on the road. The survey revealed that 78% of Americans admit to engaging in activities other than concentrating on the road, even though the majority of them (66%) feel guilty while doing so. And iPhone users are twice as likely to text and drive as Android users. According to The Zebra, when looking at iPhone vs. Android owners, Apple users are more addicted to their mobile devices, as they’re more prone to text, take photos, video-chat and more while driving. The post iPhone XR continues to dominate US smartphone sales, says CIRP appeared first on 9to5Mac. Beyoncé’s Lemonade album is available on Apple Music, as well as Spotify and Deezer, for the first time since its release in 2016. Just got my first set of AirPods two weeks ago. Really enjoying them now that my company has switched to iOS and I tote around 2 iPhones. Then today I just popped them in to walk to the office and an Amber Alert game in. Through the AirPods. Full blast loud. My eyes watered and I threw one out as fast as possible but didn’t quite get the other in time as I tried to dismiss the alert. Holy hell my ears are ringing so loud. Is there any way to turn that down?? Amber alerts are designed to play at max volume, to get your attention. I get that. But seems to me, Apple should do a bit of testing with AirPods volume, set a max limit for emergency klaxons and Amber alerts. There are people who need their AirPods at full volume, so not clear that a hard volume level cutoff is the right answer, but seems clear that the current in ear volume for Amber alerts and the like is just too loud and, perhaps, harmful to hearing. In a note to clients — as noted by AppleInsider — analyst Ming-Chi Kuo says Apple will release two new AirPod models later this year or in early 2020. The Sellers Research Group (that’s me) says, barring any production problems, we’ll see them this year, so Apple can capitalize on holiday spending. He says one of the wireless earbuds will sport an all-new form-factor at a higher price. The second model will have the same design and cost as the current AirPods, Kuo adds. He doesn’t elaborate on what design changes we might expect. However, possibilities are new health features, enhanced audio quality, a new coating for improved grip and noise cancellation tech. Cloud services are great for keeping your data backed up in the cloud, syncing to a number of devices simultaneously, and archiving information that's important but just not needed each and every day. Some services can be ridiculously expensive, but that's not the case with Zoolz Cloud Storage. Can you imagine paying only $19.99 for 1TB of Cold Storage? That’s our deal for today for what TopTenReviews called the "Number 1 Best Business Cloud Storage Service": Zoolz Cloud Storage. Teardown specialists iFixit think they know how Samsung Galaxy Fold screen failures happen. We’ve so far seen six review units fail, with Samsung reportedly taking them all back before any more can happen. Well, we’ve finally got the Samsung Galaxy Fold on our teardown table. This is, without question, an ambitious first-generation device—the idea of having both a smartphone and a tablet in your pocket at all times is pretty exciting! That said, a number of early reviewers had some durability issues with their review units, ultimately leading to a launch postponement. Are these temporary setbacks? Or are we headed for a full-blown AirPower-style product cancellation? Unlike the dull slabs of glass we’re used to, this smartphone/tablet hybrid has lots of potential entry points—and not the good kind. To achieve the fold, the thin bezel that surrounds (and protects) the screen leaves a gap where the two halves meet. If you’re like me, you suffer from cable clutter. Even though I have a 27-inch iMac 5K with a decent amount of internal storage, I have connections to: an external hard drive; various adapter cables; and a surge protector to protect all these gadgets. The result? A crowded desktop. One simple solution: The BlueLounge CableBox Mini, a $30 solution that tidies up your desktop and looks good doing it. You just plug your devices into the supplied four-socket surge protector, then stow away the surplus cable lengths, and close the lid. The CableBox has cable outlets on two sides, which makes it convenient for stashing cords, adapters and small USB hubs, while still retaining access to them. 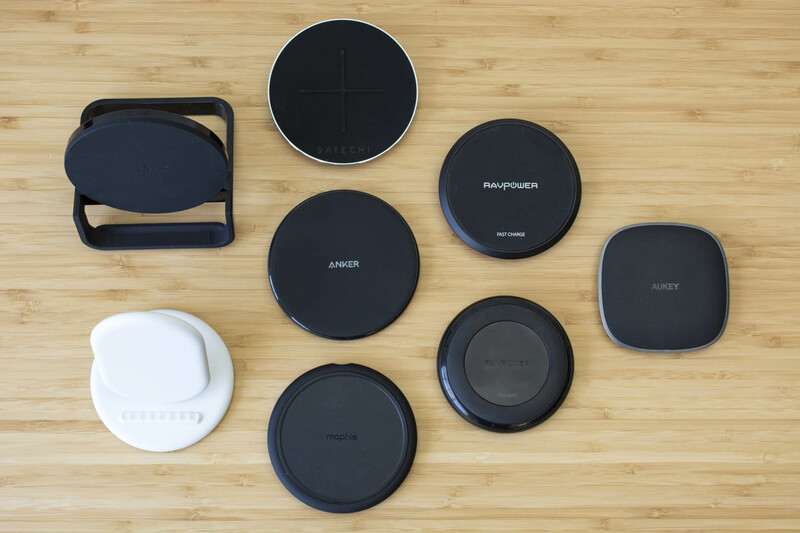 Rubber feet keep it from sliding around on your desktop — or the floor, if you prefer it there. I keep my CableBox Mini behind my iMac where it houses an USB hub and my iPhone charger. However, you can also use it under a desk or near a TV. Apple’s MacBook keyboard replacement program solved one problem: customers would no longer have to pay for a fix for an Apple design failure. But, as I wrote recently, it still left many of us with another one: the hassle of living without our machine for a week – even those of us fortunate enough to have a backup machine. Following just hours after a Digitimes report on ‘AirPods 3′, the veritable TF Industries’ Ming-Chi Kuo reports that Apple is set to launch two new AirPods hardware models as early as the fourth quarter of 2019, quoting a ‘4Q19 – 1Q20’ timeframe. One of these models is reported as an iterative update to the existing AirPods, and other will come with an all-new form factor and associated higher price. The post Kuo: Two new AirPods models in Q4 2019 – Q1 2020, one features an all-new design and higher price appeared first on 9to5Mac. A letter from Wisconsin Governor Tony Evers reveals that Foxconn is indeed seeking to renegotiate the scale of its investment, which was originally supposed to generate 13,000 jobs in the state. The company has so far renamed an office building which currently appears empty. Apple has been granted a patent (number 10,269,369) for a “system and method of noise reduction for a mobile device.” The goal is to make it easier to hear phone calls on your iPhone when you’re in a noisy environment. In the patent filing, Apple notes that you can use using headphones, earbuds, or headset when talking on your iPhone. However, a common complaint with these hands-free modes of operation is that the speech captured by the microphone port or the headset includes environmental noise such as wind noise, secondary speakers in the background. I fell in love with the Mac nearly 30 years ago, in the fall of 1989. It’s been the center of my tech world ever since, and I’ve been writing about it professionally for 25 years. And yet these past months, I’ve noticed something strange creeping into my thoughts occasionally while I sit at my desk working on my iMac Pro: iOS does this better. It’s disconcerting, after three decades, to suddenly find that manipulation of files and folders in the Finder has gone from being business as usual to seeming like it’s more fuss and effort than is necessary. And yet that’s where I am now, thanks to a couple of years of using an iPad Pro rather than a MacBook Air whenever I’m away from my desk. The iPad, she has infected me. And I fear there is no cure. There tends to be nuggets of truth in almost all rumors. The current rumor is that Apple Pay Australia will launch today, although it’s unknown as to which banks will support it upon launch. As a partner Apple could win the Erste Bank and Sparkasse and the online bank N26…The question is whether Apple launches its service far too late in Austria. Many banks have already equipped their cards with the NFC function years ago, so fast payments are already possible in this way.